MAP-21, the multi-faceted legislation that addresses highway funding and safety includes controversial provisions that will forever change the trucking industry in October. While some language is subject to interpretation, it is vital to have an understanding of the new legal requirements as they relate to the licensing and bonding of freight brokers and forwarders. Learn everything you need to know by visiting our $75K freight broker bond guide. What Does MAP-21 Mean to Freight Forwarders and Brokers? Although the transportation bill was intended largely to reduce crashes, injuries and fatalities on America’s highways, it also tightens regulations for freight forwarders and brokers in an effort to curb fraud in the industry. Changes to existing statutes most talked about include the minimum level of experience or required training certification for brokers and forwarders; newly required financial security for forwarders; and an increase in the bonding requirement to $75,000. As of October 1st, freight forwarders will have to obtain the same financial security as freight brokers and file proof of a $75,000 bond or trust agreement with the FMCSA. Previous liability insurance requirements for freight forwarders only protected the shipment and not the parties involved. The new bond or trust will ensure forwarders also follow the rules of the FMCSA including timely payment. If the principal operates as both a freight broker and a forwarder, two bonds will be required. What is the Difference Between a Freight Forwarder and a Freight Broker? 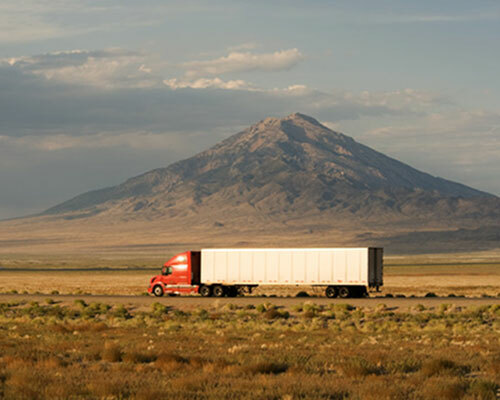 Freight brokers arrange for transportation of property by a motor carrier for compensation. By the FMCSA’s definition, freight brokers do not assume responsibility or take possession of the cargo. Motor carriers that broker loads, even occasionally, must register both as a motor carrier and as a broker. A freight forwarder coordinates the transport of property but also provides for assembling, consolidating, break-bulk and distribution of shipments – or arranges for these with a third party. As opposed to a freight broker, a freight forwarder assumes responsibility of the goods from the shipment’s origin until it reaches the final destination. Freight forwarders that perform both freight forwarder services and motor carrier services must register as both. Backed by Surety or Your Bank Account? The FMCSA currently requires freight brokers to file proof of a BMC-84 surety bond or BMC-85 trust fund in order to be licensed. Posting either of these satisfies the financial guarantee requirement to ensure shippers and freight carriers will be paid in a timely manner. Bonds are purchased from surety companies and serve as a guarantee that the principal will follow all regulations in place; if they aren’t followed, the surety will step in and pay any claims. Principals must pay an annual premium for this bond. Trust agreements are funded to the full amount with your capital and are held by a bank or other financial institution. In the event of claims, your own funds are drawn upon. Under the new legislation, choices have been expanded to include a group surety trust fund, an option that allows freight brokers to pool deposits together in a trust fund. Will the Larger Bond be Readily Available? Apply directly on our website to get an instant approval. If you have any questions, please feel free to leave a comment or contact a bond expert at our office. Sandy is an in-house author and surety bond expert at JW Surety bonds, the largest bond agency in the U.S.